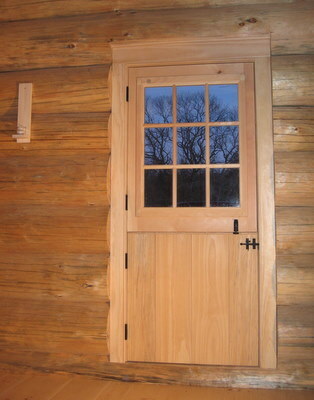 Solhem (Sun Home in English) Sauna is an independently owned company based in Duxbury, Vermont. Research and design work began in 1986, and our first prototype was tested in January, 1990. Solhem is dedicated to making the traditional Sauna experience a part of our contemporary lifestyle. Our approach is to continue the Finnish tradition of Sauna as a free-standing structure, separate from the dwelling place. One enters and leaves the stove room through the outdoor environment; the sunset, moonrise, winter snow and summer rain shower become part of the experience. We believe that being close to the natural world is what makes the Sauna experience especially pleasing and complete. Please note that in some circumstances the indoor more modern style Sauna is more expedient than the outdoor Sauna, and we are happy to accommodate this approach as well. Solhem can be relied upon for a full range of design and construction services. Stock designs can be modified to suit individual needs. 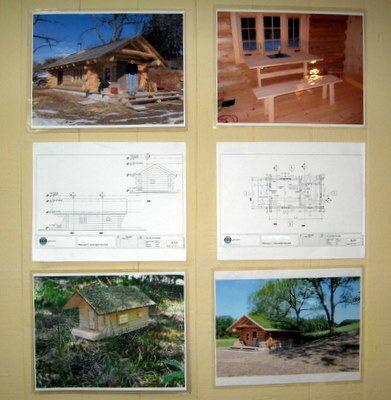 Custom designs and adaptations of existing structures are also possible. Sauna heaters, equipment, and repairs are included in our complete range of Sauna services. Nils Shenholm, founder and principal of Solhem Sauna, received his degree in art and environmental design in 1981. In addition to sauna work, his professional focus has been the design and implementation of Historic Preservation projects, restoration carpentry, and adaptive re-use of historic properties. His unique approach to sauna building combines a thorough understanding of modern construction technology as well as a profound respect for tradition. 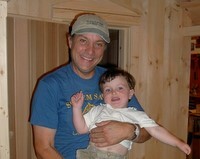 "After twenty years in the sauna business, I have come to realize that this is a specialized field. If you want the very best, I would appreciate the opportunity to discuss your sauna plans further."